I’m pleased to welcome Harmony Kent back to Archer’s Aim today. She’s on tour with her new book, Moments. Thanks for stopping by today and finding out more about Harmony Kent and her new book. Please be sure to follow her and visit her new book links. Thanks for visiting today! Join me in welcoming Harmony Kent, one of my fellow contributing authors from Story Empire. Also, welcome to a lot of new visitors today from various other blogs and groups including those from Story Empire and Harmony’s followers. Take it away Harmony! Hello, everyone, Harmony Kent here. Welcome to my tour stop on the Story Empire Roadshow. First of all, I would like to give PH a huge thank you for hosting me today. Yesterday, I opened my part of the tour with why I write, and today, am talking about what I write. Because I have so many books published, I have broken this topic into two posts. So, come and find me on tour tomorrow for the next installment. And, remember, throughout this week, I shall be offering Kindle deals on some of my books, so keep checking in for details of which books and when the discounts are happening. The most prolific commenter at the end of the tour will get to choose ONE copy of any TWO of my ebooks! A firmly established mulit-genre author, you’ll not pin me down to any one thing. I’ve written various fiction, poetry, and non-fiction. Read on for more details on my books. My book trailer videos can all be found on my Amazon author page and my website. My first book, The Battle for Brisingamen, is traditional fantasy fiction. Beneath the north sea a land of magic lies undetected. The lives of many are drawn inexorably closer together in a race against time, as both energy companies and evil beings attempt to destroy the magic which is protecting not just this land but all worlds. The unwitting protagonists have no idea of how suddenly and irrevocably their lives are about to change. It is a race against time to try and recover the lost necklace, Brisingamen, which holds the ancient power of the Goddess Freya, and to prevent the undersea drilling from taking place. Are Aart, Matthias, Gemma and Dirck up to the challenges they now must face? My second book, The Glade, is somewhat scarier and falls with the Mystery/Thriller genre. My third book, Elemental Earth, takes us back to Fantasy Fiction, but this time, for the Young Adult readers. Of course, it suits those ‘older’ readers who remain young at heart! Whilst 15 year old Sarah may be struggling to regain her feet, after being ripped from her everyday mundane life and ending up in a whole new dimension, she still knows how to have a bit of fun along the way. The Earth Elemental isn’t the only one whose feathers she manages to ruffle, and it’s only been four days. Meanwhile, her best friend is missing, and big trouble is brewing. She soon has a lot more to worry about than what happened to her phone or iPod, or even how much of an idiot Caleb obviously thinks she is. 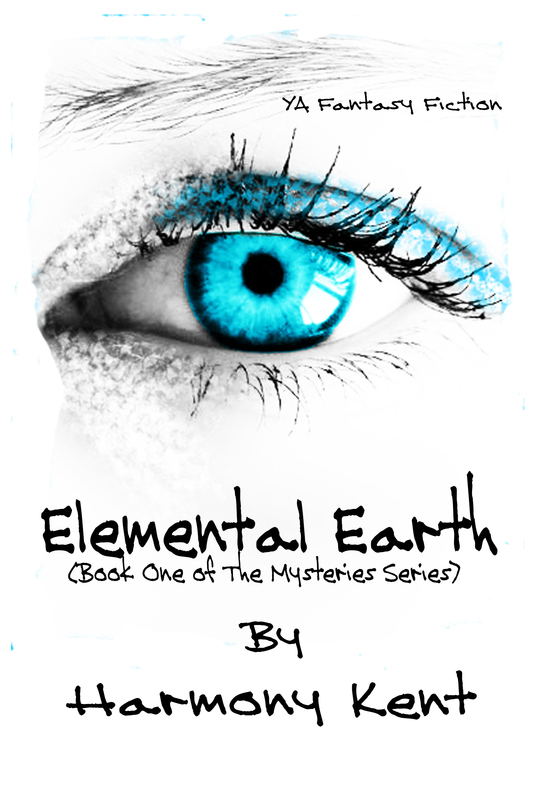 Elemental Earth is the first book in The Mysteries series, and is aimed at Young Adults. Even if you’ve already reached an age where the young ones might call you ‘old enough’, if you’re still young at heart then you’re bound to enjoy these books just as much as the next—err—younger adult. Age aside, perhaps we should be more worried about what further havoc Sarah’s antics might be about to wreak on the universe as we know it? We’d probably all be sleeping a lot more soundly if she’d only stuck to applied maths and the odd pillow fight. But no, sadly the lure of the proverbial rabbit hole proved just a tad too much. And now she’s taken the plunge, there’s no turning back. My fourth book, Polish Your Prose, leaves the world of make believe behind, and instead, takes a look at the mechanics of writing. Polish Your Prose is a powerful new guide that gives essential editing tips for authors. Chapters on Passive Writing, Tense, Point of View, Dialogue, and other techniques take you through the same processes an editor would go through to polish and perfect your manuscript. Good writing is nothing without good editing. Learn the secrets of good editing and writing with this essential author reference, which offers so much more for so much less. As promised, one of my books, Polish Your Prose, is on a Kindle Countdown Deal for today only. Grab it for just 0.99! Amazon US and Amazon UK. Offer ends at 11:00 pm local time. 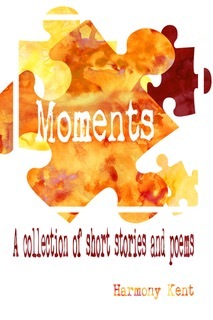 My latest book, Moments, is available on pre-order on Amazon. Pre-order HERE (US) and HERE (UK). This is a collection of short stories and poetry that touches upon death, grieving, war, fresh starts, hope, courage, change, choices, and encouragement. Take a moment to delve into tales from the dark side, have fun with fantasy, dabble in dystopia, and court danger in a little science fiction. I’d love to hear what some of your favourite reads are. Thanks so much for stopping by! Harmony sure makes the literary rounds! Be sure to check out Polish Your Prose and Moment as well as all of Harmony’s other books via her links. You can view the Story Empire Roadshow tour schedule for today and all week. Also, please make sure to leave comments below so you can be in the running for Harmony’s prize at the end of the week! Thanks for visiting today and have a fun week! This is continuing feature on Archer’s Aim – Fantasy Authors Unplugged. I hope to frequently share an interview with a fantasy author. If you have authors to suggest and/or questions you’d like to see answered then leave a comment or send me an email. If you are a fantasy author and would like an interview please let me know and we’ll plan one that fits your schedule. 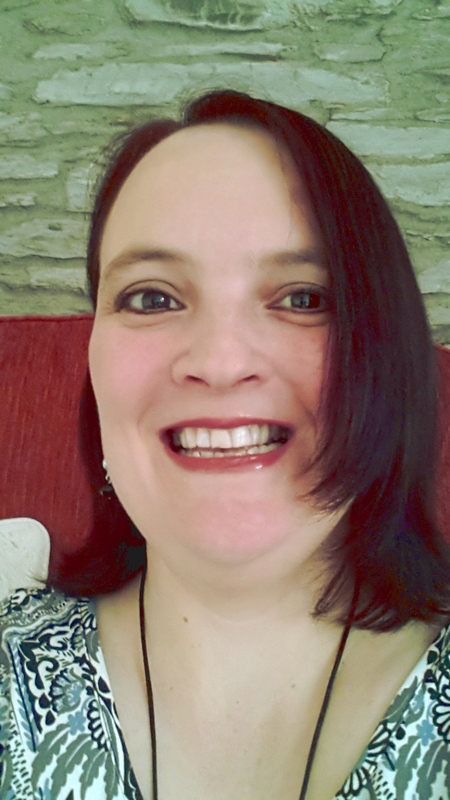 Today I’m interviewing Harmony Kent, a British fantasy author who has also written in a few other genres. Q. What’s the plot of your latest fantasy novel? A.My latest fantasy novel is a Young Adult fantasy, and is the first in what will be a series. In Elemental Earth, we are introduced to 15-year-old Sarah, a teen with a rocky home life, and on the fringe of things at school. She has become disinterested, disillusioned, and angry. On a personal level, she is attempting to work out who she is, and what her relationship to her life is, as well as having to deal with her feelings of inadequacy. Everything is mundane until a new girl shows up at school: Imogen. It’s hate at first sight, and when she sends Sarah notes that disappear as soon as they’ve been read, Sarah just gets more annoyed. Who is this girl, and what does she want with Sarah? When she meets a boy much older than her, she agrees to go on a date with him out of a sense of rebellion. But he isn’t all he seems, and she ends up being kidnapped. The rescue party isn’t what she expects: a platoon of earth gnomes. Garl, the king of the gnomes, has to be my favourite character. He has sass in buckets, and I love him to bits. He plays a pivotal role in bringing Sarah out of herself and helping her to adapt to her new life in an alternate realm of reality. Sarah continues to rebel, and resists the role everyone seems to be trying to pin on her. Meanwhile, her best friend is missing and big trouble is brewing. If only she’d stuck to applied math and the odd pillow fight. Q. How do you balance being a multi-genre author? A. Being a multi-genre author just kind of happened. I didn’t plan it. But then, I’ve learned not to spend too much time on plans: they’re just subject to change anyway. All we can do is to give life our best guess. The key is adaptation and flexibility. Going with the flow holds true in my everyday life as much as it does in my writing. I suppose that my being a multi-genre reader has influenced my writing greatly. All of my books have an element of magic or the fantastical, except for my latest book, Finding Katie, which is my only book to date that is based wholly in what we call reality. The possible downside to being a multi-genre writer is that my readers can’t put me into any one box. However, on the plus side, they are also guaranteed surprises. For me, the important thing is that no matter what I write, I pull my reader out of their seat and into the book. For some readers, genre is all-important, but there are more multi-genre readers out there than I had ever imagined. Q. What are your fantasy genre inspirations? Q. Are any of your fantasy characters inspired by anyone in real life? A. Characters in my books tend to be an amalgamation of lots of folks in my life. I haven’t, as yet, based a character on one person in particular. Q. What’s the name of your latest project? A. The name of my latest project is When Shadows Fall, and it is to be a sci-fi/dystopian novel. Q. How have you changed as an author since you first self-published? A. My writing voice is much stronger. I am much more confident than I ever was. Since I published my first book, I have undergone a steep learning curve in all areas of self-publishing. One thing I hadn’t expected was how much I would come to enjoy designing book covers and making book trailer movies. Q. What are your most and least favorite activities as an author? A. My least favourite activity as an author is the marketing and sales side of things. It just is not my forte at all. My favourite activity is writing when the characters have taken me over and invaded my mind. When that happens, they write the book and I just follow along for the ride. Of course, it’s not always so easy, but that’s when it feels truly great. I think the plot twists in The Glade take the readers so much by surprise, because they took the author by surprise too. 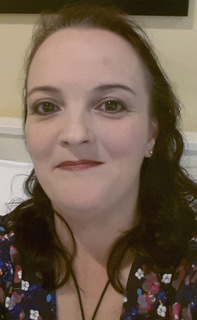 Indie Author Harmony Kent has written a number of books. The Battle for Brisingamen, her first novel, is a work of fantasy fiction and was approved by Awesome Indies within weeks of its release. Her second book, The Glade, shows her equally at home in the realms of mystery, suspense and thriller – with a dash of magical realism. This book has also been approved for the Awesome Indies List. The Glade was awarded the IndieBRAG Medallion in July 2014. Harmony’s third book (Elemental Earth) is Young Adult Fantasy Fiction, and was published 31st July 2014. With more books already in progress, she is well on her way to being a firmly established multi genre author. As well as being an avid reader and writer, Harmony also offers editing, proof reading, manuscript appraisal and beta reading services. As well as reviewing and supporting her fellow indie authors, Harmony works hard to promote and protect high standards within the indie publishing arena. She is always on the look out for talent and excellence, and will freely promote any authors or books who she feels have these attributes. Harmony Kent is famous for her laughter, and has made quite the name for herself… she’s also, um, a writer… and fairly well known for that too. She lives in rural Cornwall with her ever-present sense of humour and quirky neighbours. She is single and not admitting to her age. Thanks to Harmony for being featured today in Fantasy Authors Unplugged. Please take some time to visit this award-winning author’s pages to learn more about her fantasy books. If you’re a fantasy author and would like to be interviewed for “Fantasy Authors Unplugged” just contact me via email or one of my social media channels and we’ll set one up.